Multiplayer open beta now available for PC. 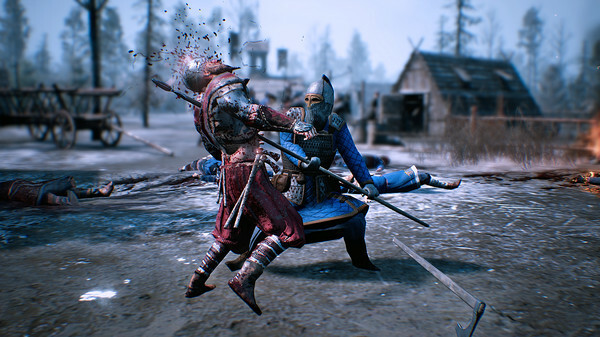 History-inspired squad-based real-time strategy game Ancestors Legacy will launch for Xbox One and PC on May 22, publisher 1C Company and developer Destructive Creations announced. The PC version will be released worldwide through digital outlets such as Steam, with a boxed retail version available in select countries. The Xbox One digital version will be released on the Xbox Games Store on the same day. An multiplayer open beta for the PC version is available now on Steam. All four nations represented in the game are available to try in the beta across three maps ranging in size from two to six player (one-versus-one, two-versus-two, or three-versus-three). You can also play with AI rather than people. 4 playable nations in an extensive single player campaign inspired by historical events. Various modes of intense multiplayer battles. Advanced tactical options combining the use of terrain, experience and morale. Cinematic battle camera view puts you right in the center of the action. Outstanding visual fidelity powered by Unreal Engine 4.